Vastik Mishra: INFERNO (2016) MOVIE REVIEW! Now, I am not a big fan of the trilogy which this movie is the part of, it is the third installment, I didn’t really liked the first two movies, I roughly enjoyed some parts of those movie and that’s it. Both were slightly overlong, I am sorry if you like THE DA VINCI CODE and ANGLES & DEMONS. So I wasn’t very excited for this movie, tough this movie had one of favourite actors of Bollywood IRRFAN KHAN, he is arguably the best Bollywood actor working today. 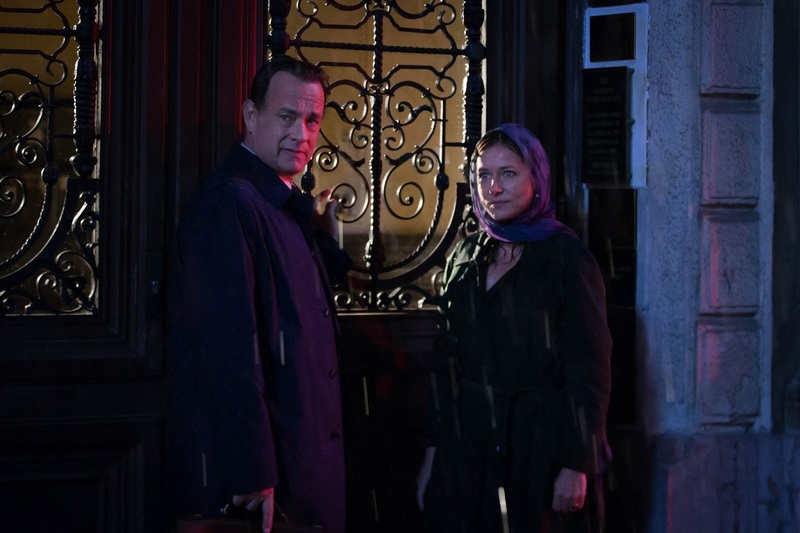 Even tough I didn’t liked the first two movies but I cannot deny the fact that TOM HANKS was brilliant in both of them. When, I heard IRRFAN KHAN is in the movie, I got intrigued to watch it. And, today it came out. I didn’t went with a lot of expectation with the movie, but I wasn’t surprised with the movie as well. Well, it is for sure not the weakest in the trilogy. The pacing has been taking care this time, It was surely better then the other two movies. First of all performance’s were good as ways. 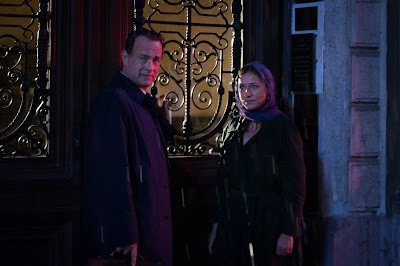 TOM HANKS did justice to his role as he usually does. Other actors like BEN FOSTER, FELICITY JONES did decent acting as well. 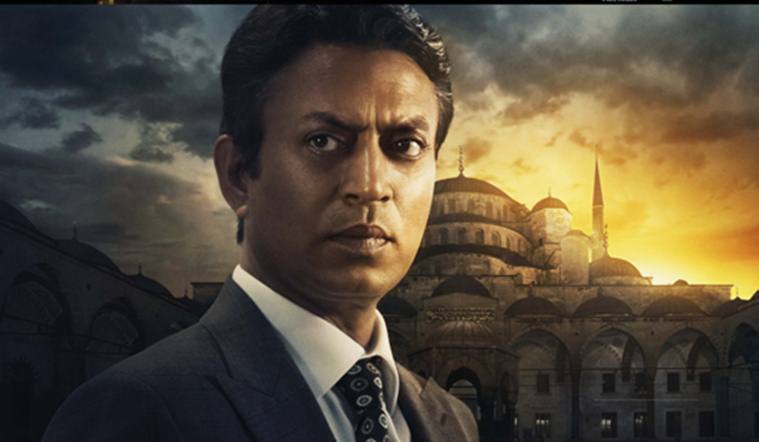 IRRFAN KHAN, the man I was waiting to see, he has a substantial role to play, and he GREAT in it. Now, As I didn’t expected much from the movie, I got want I wanted out of it, the simple thing in all three movies, some MYSTERY, some ACTION, the typical movie of the trilogy. It is not a smooth ride, It drags at some places, and at specially at TOM HANKS (LANDON’s) personal life elements. Now, was I entertained, quite a bit, YES, but it was okay, as again not expecting much from these movies is the best thing. RON HOWARD is such a talented director, Or should I say he was, a brilliant filmmaker. I only “LOVED” FROST/NIXON & RUSH out of his 21st century movies. Rest of them, It was hard to even like some of them. APOLLO 13 stays my favourite of his. Anyway he did is job as usual, well he certainly directed this better then the other two in my opinion giving it a better pacing. The story line is, Famous symbologist Robert Langdon (Tom Hanks) follows a trail of clues tied to the great medieval poet Dante himself. 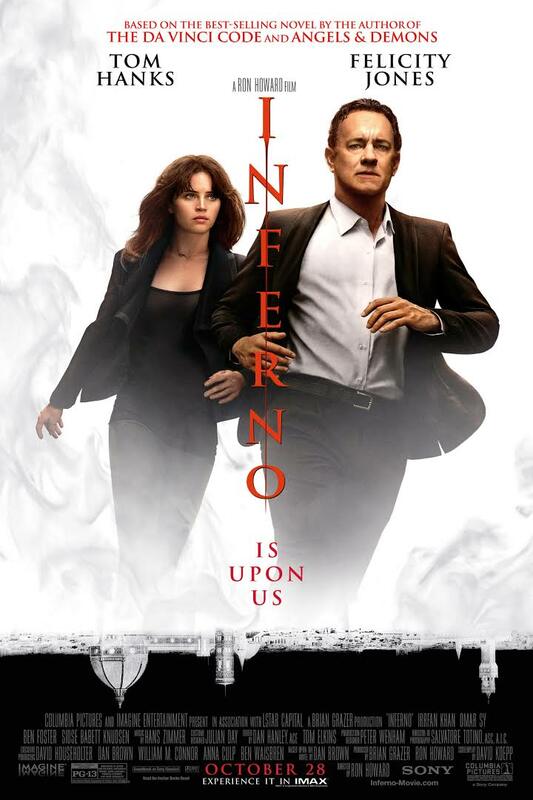 When Langdon wakes up in an Italian hospital with amnesia, he teams up with Sienna Brooks (Felicity Jones), a doctor he hopes will help him recover his memories. 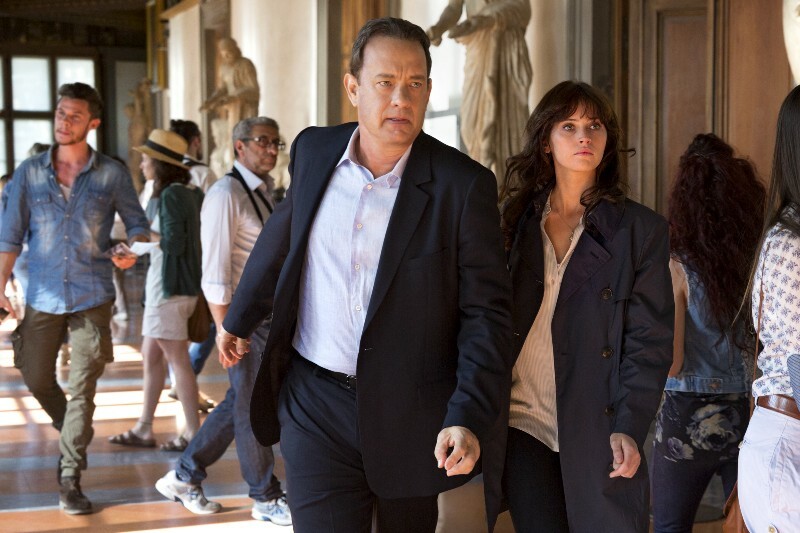 Together, they race across Europe and against the clock to foil a deadly global plot. HANS ZIMMER background score was delight in the movie, I personally love HANS ZIMMER as his collaboration with CHRISTOPHER NOLAN has been amazing, also in the RUSH. Now, this movie has flaws no doubt, but it is worth A WATCH only, Now, I won’t ever be seeing this movie again. Tough, you should, surely give it a watch for TOM HANKS & IRRFAN KHAN (for INDIANS ;)) sakes. This is probably my favourite of the whole trilogy, second close coming THE DA VINCI CODE. I gotta give credit to good cinematography in the movie, some visuals in the movie had fantastic lightning. NOW DON’T GO TO THIS MOVIE THINKING A BRILLIANT MYSTERY-THRILLER. It is a POPCORN movie, just for having a nice time, and to be entertained, Is the best mentality to go with. LET ME KNOW WHAT DID YOU THINK OF THE MOVIE!